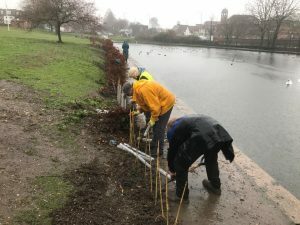 The Chesham Enviromental Group joined forces with Chesham in Bloom and The Friends of Lowndes Park to plant over 150 saplings of native trees. We were very pleased to welcome some students from the Chesham Academy to help both plant the trees and carry out a litter pick of the park. 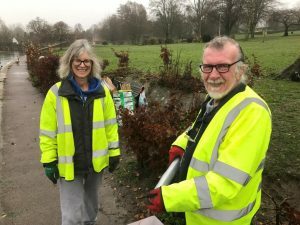 They were invited by the Mayor of Chesham, Jane MacBean, who is a member of the Environmental Group. The morning proved to be very successful despite a period of heavy rain.